Have you suspected that you were iron deficient? Maybe you’ve had your ferritin tested and started using an iron supplement thinking it was safe? There’s a lot of misinformation out there on hypothyroidism. The idea that you can test your blood ferritin levels to diagnose iron-deficiency is a not just a BIG one. It’s misinformation like this that can lead to serious health complications, and even kill you over time. I’ve seen many thyroid advocacy websites claim that thyroid sufferers should always get their ferritin tested. Then, they claim that if you don’t fall within a specific test range you should start blindly supplementing iron until you do. Or how about the ones that tell you to supplement iron based on symptoms alone? What you might find interesting is that these are also symptoms caused by iron toxicity (too much iron). They are also well known symptoms caused by hypothyroidism. So, if you’re supplementing iron based on symptoms alone… that’s like playing Russian roulette with your health. If you follow much of the misinformation out there, I’m sure you’ve heard that a ferritin test can tell you if you’re iron-deficient. I’ve had plenty of clients take iron supplements based on ferritin labs alone. Then, after we test their true iron status, we often find they are not deficient at all. Some have been building up toxic levels of iron for no reason at all. I’ll show you how to test true iron status (and what it should be) in a minute. True iron deficiency does exist. It’s just not all that common. Typically, iron deficiency anemia occurs due to excessive bleeding, internally or externally. Women absorb iron much more efficiently than men, so normal menstruation is never a cause of concern, although excessive menstrual bleeding can be. It’s the same with B12 deficiency anemia. Many people take large doses or injections of Vitamin B12 because they are fatigued. They believe they have B12 deficiency anemia. Yet, the doctors giving out these mega doses of Vitamin B12 are not considering some important research. I’m referring to the research showing that elevated B12 levels are highly associated with your risk of cancer. If it’s not iron-deficiency or B12 deficiency, then what could it be? Low ferritin (and elevated too) is a common sign of hypothyroidism. Serum ferritin as a marker of thyroid hormone action on peripheral tissues. By giving these patients T4-only thyroid medication, their ferritin levels increased significantly. When they gave these patients T3-only thyroid medication, their ferritin levels increased even more, by 23-243%. Endocrinology and thyroid expert, Dr. Broda Barnes was the first to discover that hypothyroidism causes anemia in other ways. For example, Dr. Barnes’ discovered that the lower one’s body temperature is, the fewer red blood cells are produced within the bone marrow. 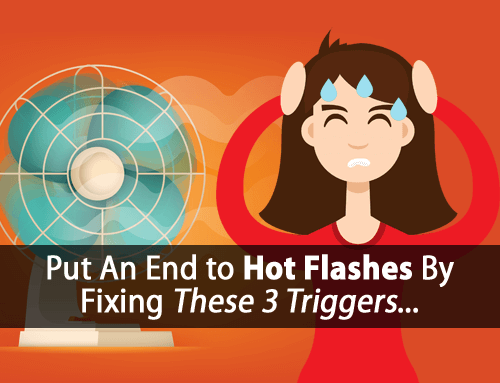 Naturally, hypothyroidism suffers have low body temperatures and therefore naturally produce fewer red blood cells. This too leads to anemia and low ferritin. There’s also another type of anemia that doesn’t get much attention. Hemolytic anemia is also common in hypothyroidism. This is where the red blood cells become fragile and break easily due to poor blood quality. Supplementing iron has also been shown to worsen hemolytic anemia, adding to iron’s potential dangers. As you can see, low ferritin levels are quite often just another sign of hypothyroidism. It can easily be corrected with some proper thyroid treatment. Please keep in mind that in the study referenced above there was a smaller subset of patients whose ferritin didn’t respond well to thyroid hormone. What they found was these patients were experiencing thyroid hormone resistance, preventing their cells from using the thyroid hormone they were taking. Before you start increasing your iron intake due to low ferritin, it’s important that you test your true iron status properly. I’ll show you how to do this, but first, let’s talk briefly about the dangers of iron supplements. Most people get plenty of iron, often too much. Yes, iron absorption can be impaired when stomach acid production is inhibited. But we can’t jump to conclusion without proper testing. On the other hand, there are many people who are getting toxic levels of iron without even knowing it. Sure, supplementing iron even in excess will increase your ferritin. When you get too much iron, your body has a very difficult time getting rid of it. So, it ends up being stored in your organs, such as your liver, heart, and brain. Since your body can’t rid itself of excess iron, it continues to deposit into your organs, which over time can kill you. While we need iron to live, as with everything, balance is essential. Exercise can be healthy, but in excess can be deadly too. Many look at marathon runners as in great shape and super healthy. Yet, they put such extreme stress on their bodies, that they can literally experience heart failure and drop dead shortly after a race. Many have raised concerns of iron toxicity simply from the many foods today are fortified with iron. Ferritin alone doesn’t tell you everything you need to know, such as how much iron you can actually store in your bloodstream. For this you need to also test for transferrin saturation. Transferrin saturation is a lab measurement that accounts for both your blood iron levels and the how much room there is available for you to store more. So, if your ferritin is normal, and your transferrin saturation is high, then your blood is very saturated in iron, a sign of iron toxicity. On the other hand, if your ferritin is low and your transferrin saturation is low, then this can be a sign of true iron deficiency. You have both little iron in the blood and you’re not storing much either. Now, the recommended reference range for transferrin saturation can vary. 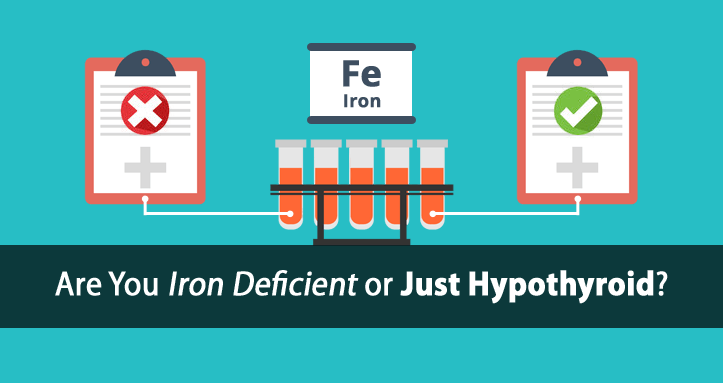 Both low ferritin and low transferrin saturation can be a sign of true iron deficiency that should be treated. But also keep in mind that both low and high iron are dangerous. Transferrin saturation in the upper or high end of the reference range has been associated with increased cancer rates. The lower normal transferrin saturation reference range is ideal. When working with clients, I’ve never once recommended an iron supplement, regardless of iron status. Instead, we use foods to increase or decrease iron absorption. For example, when consuming an iron rich food, orange juice (vitamin C) can be used to increase the absorption of iron from that food. Coffee (caffeine) on the other hand can be used to block the absorption of iron. In most cases this isn’t even necessary. 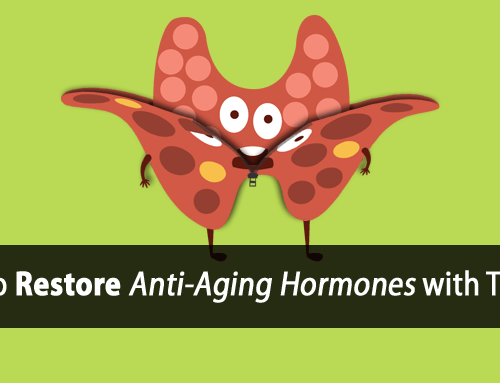 In most cases, using adequate thyroid hormone is an easy way to correct low ferritin. 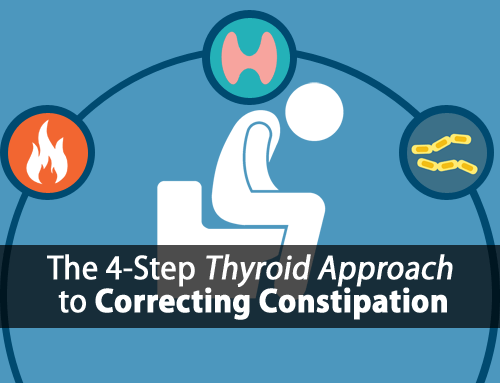 If that alone doesn’t work, then first consider whether you’re thyroid hormone resistant. 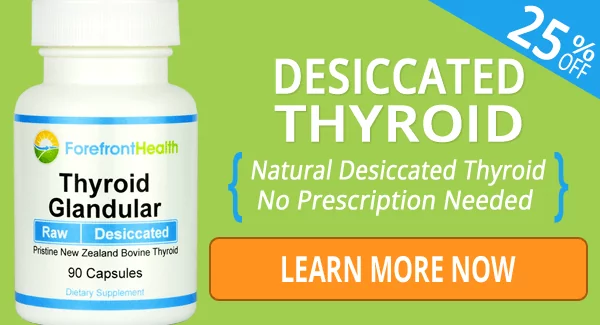 Have you tried supplementing thyroid hormone (T3)? Have you noticed no difference in body temperature, pulse, etc? If so, then this should be explored too. If you’re not using the thyroid hormone you’re taking, then you likely won’t see a change in your ferritin either. Keeping an eye on your ferritin and transferring saturation is a good idea. But jumping to conclusions based on a ferritin lab alone is a big mistake that can put you at high risk for many deadly diseases including cancer. If you’re going to get tested, you should always do it right. Hi I take ndt and was taking iron supplements I started at ferrritin of 23 and saturation of 12, I no long take supplements and my ferritin is like 150 and saturation is still 12 or 13..would you know why.. Think of transferrin as the buses that pick up and deliver passengers around a city. Transferrin saturation is measuring full your buses are. The lower your saturation index, the more seats available for iron. The higher your saturation, the less seats available. With low ferritin and low transferrin saturation, that would indicate an iron-deficiency. My LDL is very high now and my hormones are imbalanced. High LDL is a sign that you’re hypothyroid and not converting T3 into pregnenolone and other protective youth hormones. This article covers exactly what’s going on regarding iron. my ferritin has always ran high, its now up to118..im losing a lot of hair, I know I have inflammation,dont know what to take, to bring it under control,, Im on t3/ndt combo..
Can u advise me on what I should do? Do you need all my iron labs? Hi Tom, thanks for the article. Any chance you might show what optimal levels for iron, transferrin, transferrin sat % and ferritin would look like? My labs are low normal but IDK if the lab ranges are for optimal results. Been doing the program for 9 months now and fatigue is still persistent with optimal pulse and near optimal temps. Have done the food thing, B vitamins, vitamin D – they all seem to be ok atm. Took thyroid without effect, but I think liver is the problem. TIA. Hi Tom, what about low transferrin saturation and high ferritin? This indicates hypothyroidism or inflammation? Also, can you write an article about B12? I have seen a lot of people supplementing it to keep the serum b12 level at more than 1.000, and will be nice if you tell the truth about it, like you did whit Iron. Hi Tom, I was diagnosed with hypothyroidism the same time I was diagnosed as being anemic. They said I was severely anemic and put me on ferritin for two years because the tests kept showing I was anemic. Then my B12 levels showed very high. They have been high for four years and my doctor does not seem to be worried. I on the other hand, am very worried. Any way to get a B12 level down? Hi Lorraine, Hemachromotosis is a very different situation. Regular blood transfusions are often necessary. However, using coffee/caffeine as mentioned with iron rich foods will help to block the absorption. I am not in favor of enriching foods with irons. People who are hypothyroid tend to have high estrogen, which combined with iron promotes oxidative damage. Need help I read so much and still confuse. I am hypothyroidism and 58 years old found out in DEC. 2016 can’t seem to get better can’t fine a doctor who cares to much on armour thyroid 15mg a day have no energy losing hair very upset about my hair my pain doctor did check my testosterone ,serum. 154 free testosterone 2.3 estradiol 70.5 thyroid peroxidase too an 11, progesterone 0.2. Don’t understand all of this but I know that 154 is high for my testosterone would that be causing my hair loss and how I go about fixing this so desperate. I am very relieved I didn’t take other’s advice to supplement with iron due to my low levels of ferritin. I finally have my energy back on 75 mcg of Levothyroxine but still have shortness of breath and major hair loss. Is there any literature or guidance for treatment due to potential hemolytic anemia? Does it usually require getting the optimal dosage for NDT or thyroid meds? Any additional insight is much appreciated! Hello, My hair is extremely thinning. I researched and found low levels ferritin at 40 stops hair growth, 70 restarts and optimal for a hypothyroid person(myself) should be between 80-90. My Dr. suggested daily w/iron to increase level. Redid blood work and now my tsh is higher (6.2 was normal last blood draw), my hematocrit & hemoglobin increased into slightly abnormal high range, He said to stop daily w/iron. I read your article and only wish my doctor had this info about checking your iron transferrin. How can you get your ferritin level up and not increase your iron. I am on compounded armour, which we also had just switched from 60(b/c made me anxious and t4 was slightly abnormal) so my doc dropped to dosage to 30mg armour. I am just wondering if the dosage change and my adding the supplement with the iron messed all my numbers up. I was diagnosed as estrogen dominant. 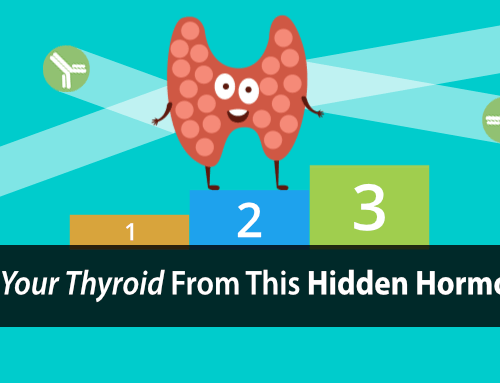 My thyroid always tests normal, (T3, 4, free T etc.) yet I am always cold, can’t lose weight even on a very clean diet and my ferritin level was at 40. The dr. put me on iron supplements and after reading your article I am concerned that this may not be correct. Any thoughts? Excess iron is very dangerous. It would be best to get your transferrin saturation tested as recommended in the article. I can not thank you enough for this information. I see 5 specialists and they have all been passing the buck about my ferritin being an 8. And all of them have their own opinions. Gastroenterologist says it’s because of gastroparesis. Dermatologist assays it’s iron deficiency. Rheumatologist says to take iron supplsupplements.. Haven’t talked to endocrinologist yet. That’s next week. General doc just hasn’t responded yet. I was tested because these dips in my fingernails just appeared, fatigued, and hair is falling out. But other iron levels were normal.